Architectural practice formed in 1886, between John Thomson (1859-1933) and Robert Douglas Sandilands (1855-1913), at 241 West George Street. Thomson was born at 3 Darnley Terrace, Shawlands, and was the eldest son of Alexander 'Greek' Thomson and a great-grandson of Peter Nicholson. Sandilands trained with Alexander Petrie in Glasgow, 1875-80, and at the �cole des Beaux Arts in Paris, under Gaudet, 1880-5, before joining Thomson. The firm's work includes hospitals, churches, schools, villas and commercial buildings, many of them reflecting Sandiland's Parisian training. 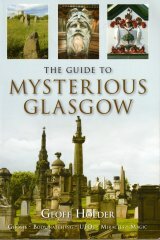 Their most important buildings in Glasgow are Govan Town Hall, 401 Govan Road (1897-1904), which features sculpture and carver work by Archibald Macfarlane Shannan and James C Young , and the former Parish Council Offices, 266 George Street 1900-2), which features reliefs of reclining female figures reminiscent of the spandrel figures at Govan Town Hall. The firm's other work in Glasgow includes Gartloch Hospital (1890-7); the Royal Insurance Building, 106-10 Buchanan Street (1895-7); Stobhill Hospital (1900-04); and the colossal City Council Offices, 20-46 Trongate and 18-58 Albion Street, which features figurative and emblematic sculpture by Holmes & Jackson (1901-5). After Sandiland's death, Alexander H MacLeod became a partner and the firm's work after World War I became Art Deco in style. Sandilands died on 10th December 1913, and was buried in Cathcart Cemetery. His monument, probably designed by his former partner, is in the style of 'Greek' Thomson and features a carving of a set square and compass to identify him as an architect and Freemason. A bust of Thomson, by Archibald Macfarlane Shannan , 1902, is in the RCAHMS Library, Edinburgh, together with photographs of the bust (RCAHMS C23748/9).